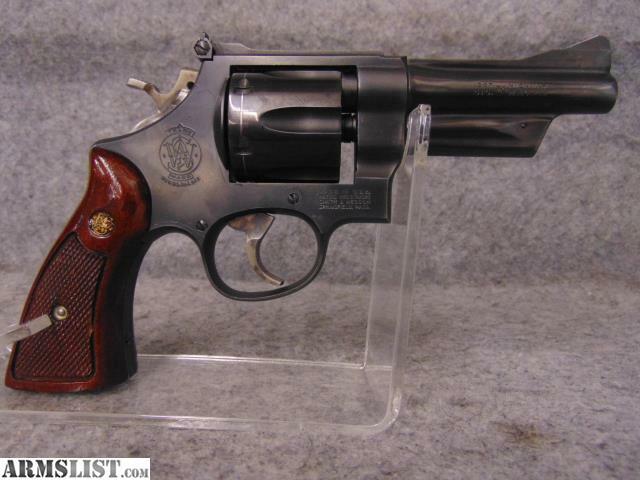 The Smith & Wesson (S&W) Model 28-3, also known as the Highway Patrolman, is an N-Frame revolver chambered for the .357 Magnum Cartridge. 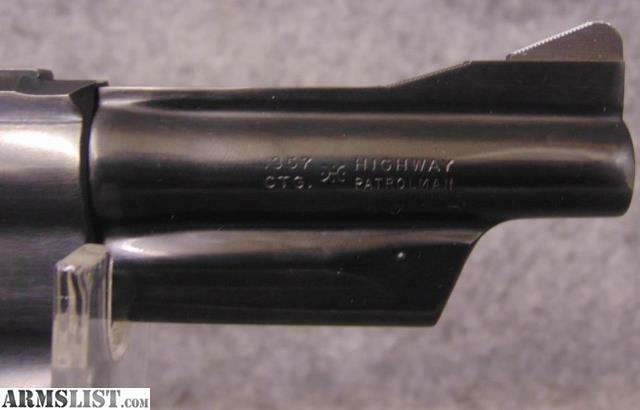 The 28-3 was a steady seller with both police officers and civilian shooters. 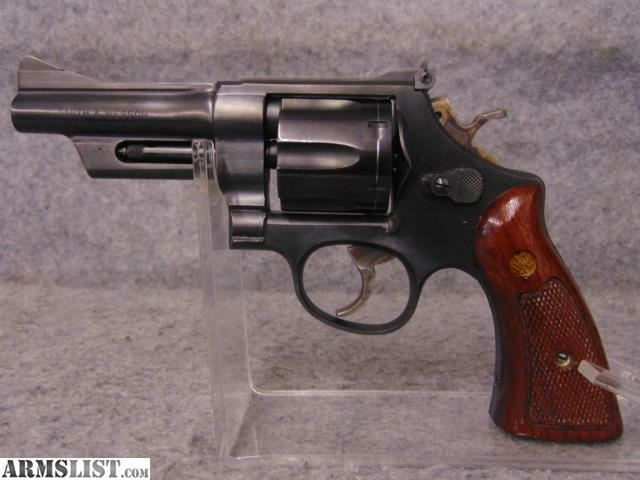 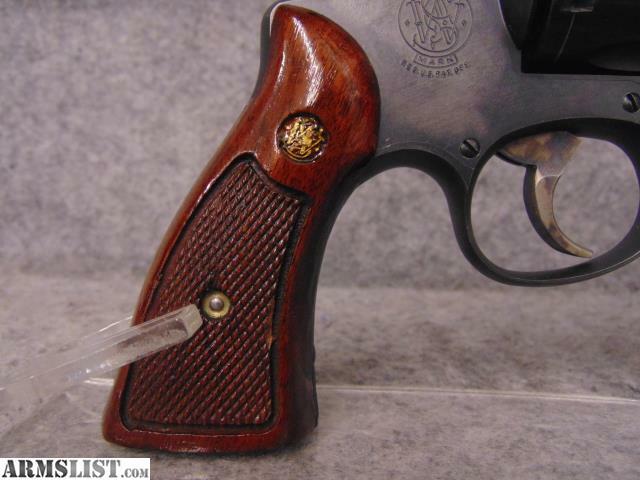 This model 28 has checkered walnut grips that are in excellent condition. 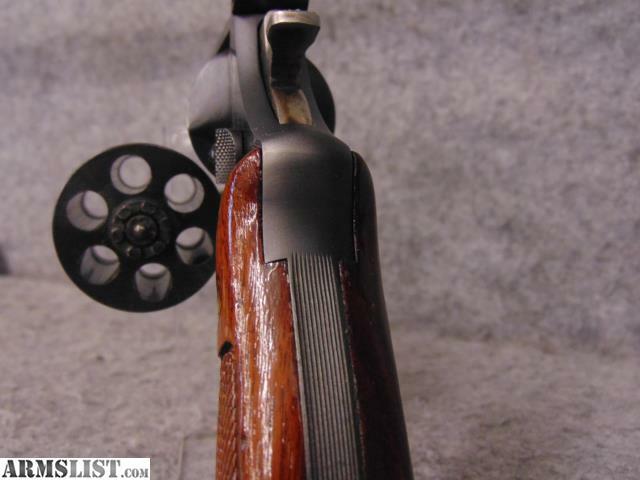 It has a 4" barrel and the bluing is in remarkable shape, the only real signs of use is on the noticeable spin ring.